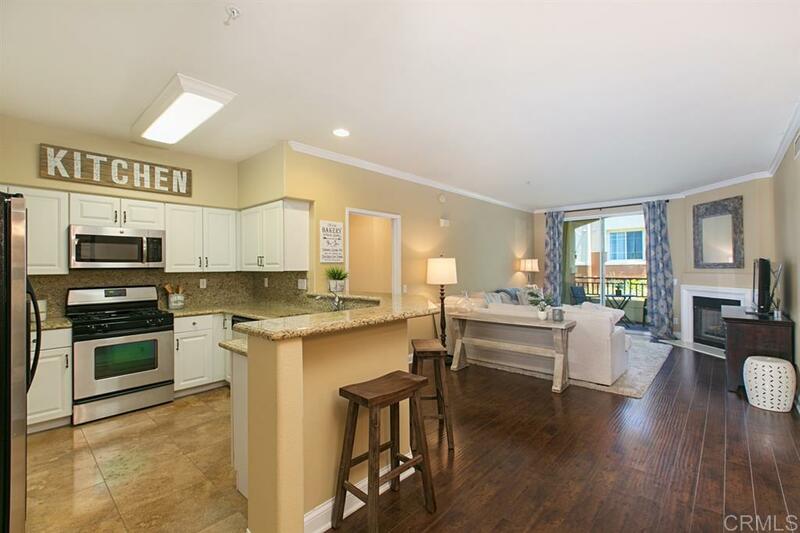 Bright and spacious gated condo with dual master bedrooms, AC, large bathrooms & walk-in closets. Enjoy this open concept living with outdoor balcony space. White kitchen & bathrooms have granite countertops. SS appliances. Wood and tile throughout the home. Washer/dryer, detached garage for parking & one assigned outdoor parking space. The condo overlooks a green belt for great privacy, and the complex has pool/spa/exercise and entertainment room. Walk to school, shops & easy access to freeways & beach.